After a day of experiments, Trayaurus and DanTDM are about to call it a night when a strange-looking crystal plummets to earth, breaking into five pieces that scatter far and wide. DanTDM and Trayaurus recover one of the shards and quickly realise they are in possession of an object more powerful than anything they've ever known. 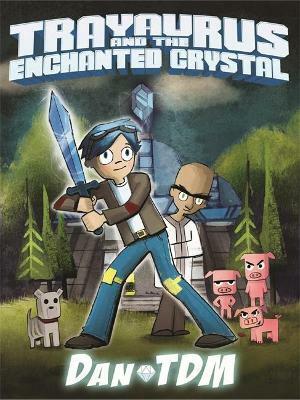 Word reaches DanTDM and Trayaurus that other pieces of crystal have been recovered - a group of pigs have harnessed the crystals' power to enable them to talk. But they're not alone - their archenemy Denton has also found a shard and manipulated its power for evil. He has created a cloning machine, producing a terrifying, marauding army intent on hunting down the remaining crystals in his effort to become all-powerful. Dan The Diamond Minecart, aka DanTDM, is one of the most popular YouTubers in the world with over 10 million subscribers who tune into his Minecraft and gaming videos. He averages almost 400 million views per month, which makes him the most-watched gaming channel on the whole of YouTube.